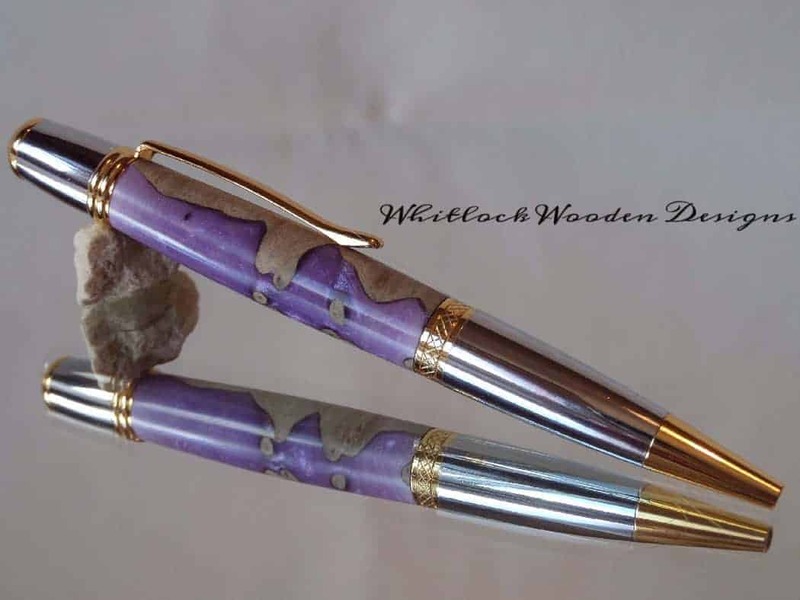 A wood burr & violet ball point pen hand turned on a woodturning lathe in my UK workshops. 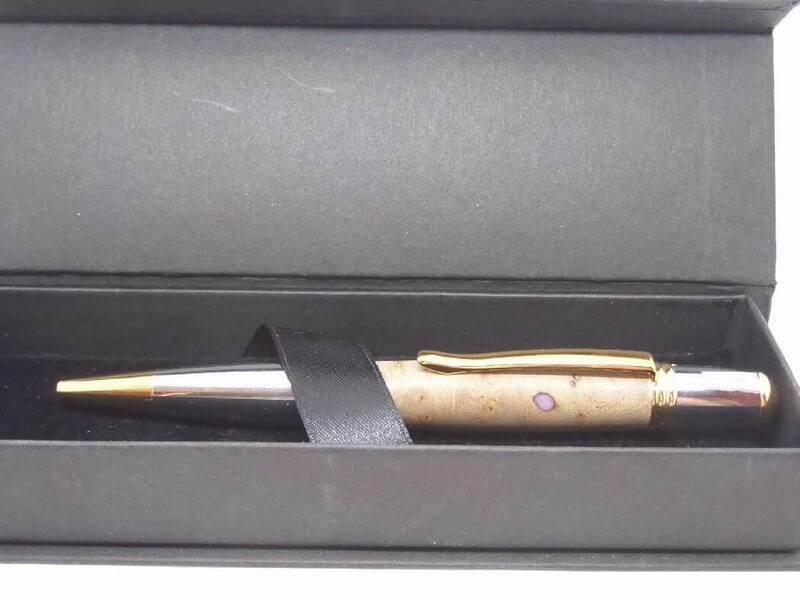 The pen has a twist mechanism with a high-quality chrome-plated trim and gold details. 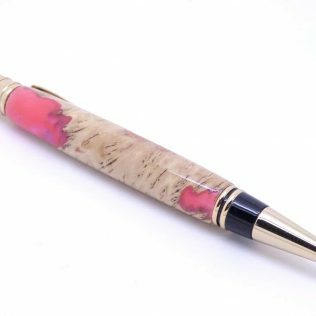 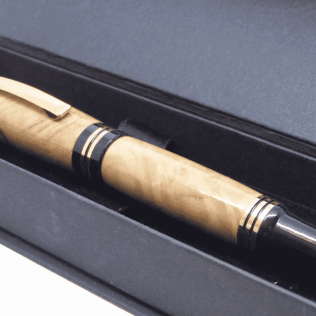 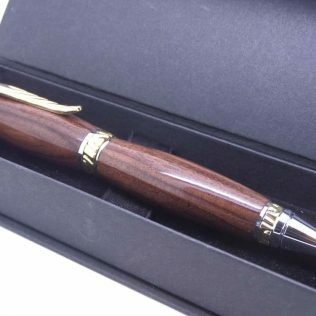 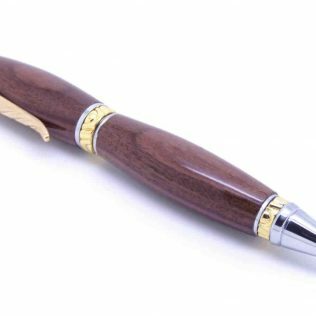 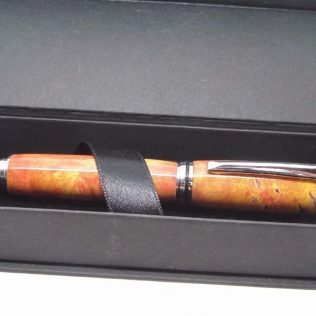 The pen barrel is a hybrid of burr wood and violet resin. 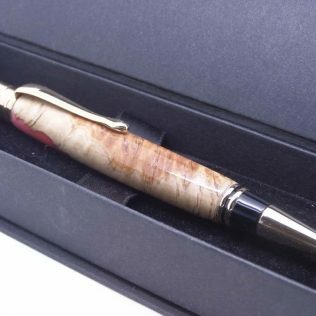 This pen blank is very special as it is the irregular edge off the burr that is made into a pen blank by casting it with resin under high pressure so making this beautiful piece of wood into something usable. All my pens come in a presentation box. 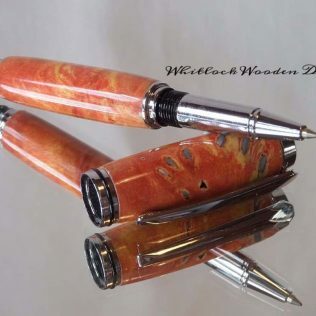 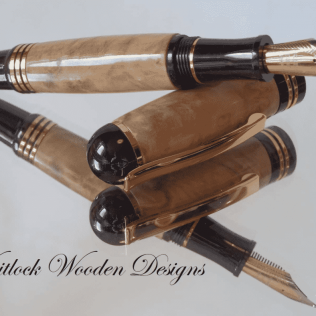 As every piece of wood is different in grain and figure even within the same larger piece these pens will make great gift ideas and unique handmade wooden 5th wedding anniversary or Christmas gifts.